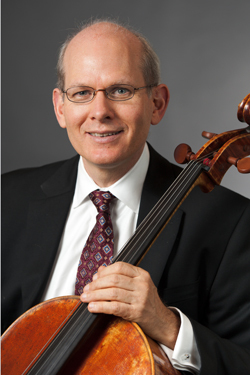 JONATHAN SPITZ has served as Principal Cellist of the New Jersey Symphony Orchestra since 1991. 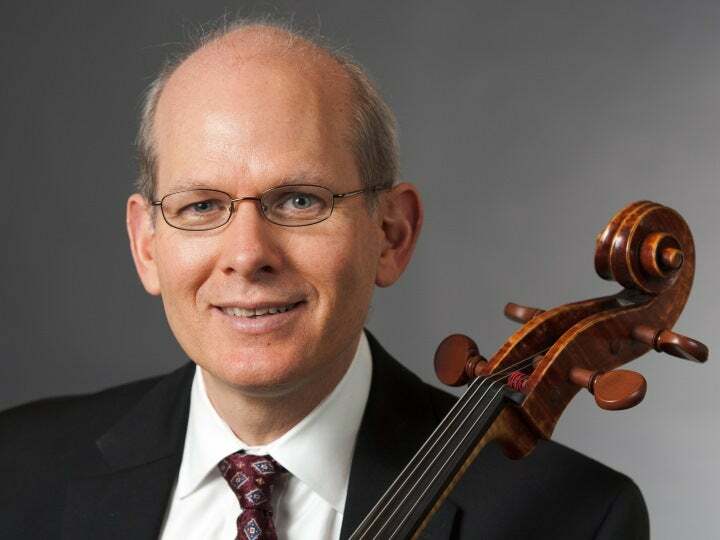 He has established himself as one of the leading cellists in the New York area with his performances as soloist, chamber musician and orchestral principal. He tours internationally as a member of the Orpheus Chamber Orchestra and serves as one of that ensemble’s artistic directors. He also performs as Principal Cellist of the American Ballet Theater Orchestra and the American Symphony Orchestra at the Bard Music Festival. Spitz has performed as a soloist with the NJSO on numerous occasions, including performances of the cello concertos of Schumann, Dvořák and Haydn, as well as Brahms’ Double Concerto with NJSO Concertmaster Eric Wyrick. He has also performed frequently as a soloist with Orpheus, the Riverside Sinfonia and Northeastern Pennsylvania Philharmonic. He first performed Tchaikovsky’s Variations on a Rococo Theme as a 16-year-old soloist with the Bergen Youth Orchestra. An active chamber musician, Spitz was a participant at the Marlboro Music Festival and has performed with legendary artists such as Rudolf Serkin, Benita Valente, Felix Galimir and Oscar Shumsky. He is in great demand as a teacher and serves on the faculties of the Mason Gross School of the Arts at Rutgers University, the Brevard Music Center and Sommer Sinfonie in Valdres, Norway. A graduate of the Curtis Institute, Spitz has recorded for multiple record labels. Spitz performs on a cello by Grubaugh and Seifert from 2012. I have been with the NJSO for [nearly three] decades. I was the youngest member of the Orchestra when I joined the cello section in 1984. I became the principal cellist in 1991. I attended the Curtis Institute of Music, where I received fantastic training in both solo and orchestral playing. I also immersed myself in chamber music. Was there a pivotal event that inspired you to become a professional musician? When I was 14, I really enjoyed the thrill of improving as a cellist. I knew then that I wanted to see how far I could take it. What has been your most interesting work outside of the NJSO? I have two other affiliations that mean a great deal to me. I am a member of the Orpheus Chamber Orchestra, a conductorless ensemble [in which] the players are fully responsible for the interpretations. I also teach cello at the Mason Gross School of the Arts at Rutgers University. I really love passing on the great training from which I have benefited. This changes daily—today, it’s Schubert. His music is like a handwritten letter from a dear friend, expressing such a deep human view of the world. A cello, the Bach suites, the many great novels I haven’t read and language courses in Mandarin, Russian, Japanese and Korean. When I’m not working, I spend time with my wife, Susannah, and my three kids. I still love to practice cello, but I also love to play golf (rather infrequently), poker (backstage) [and spending time with] my sons Sebastian and Lukas. If you could have dinner with any three people in history, who would they be, and what would be on the menu? Martin Luther King Jr., Pablo Casals and John Lennon come to mind as heroes. I would be too nervous to swallow, so I wouldn’t care about the menu.